New Russia flag: Confederate undertones? 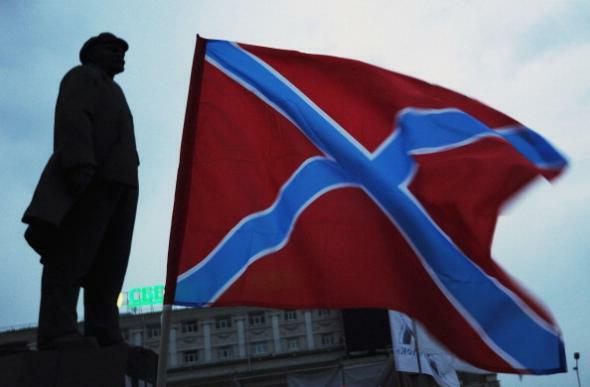 The “New Russia” flag next to a statue of Lenin in Donetsk. Martin Luther King Jr. Day in South Carolina in 2008. 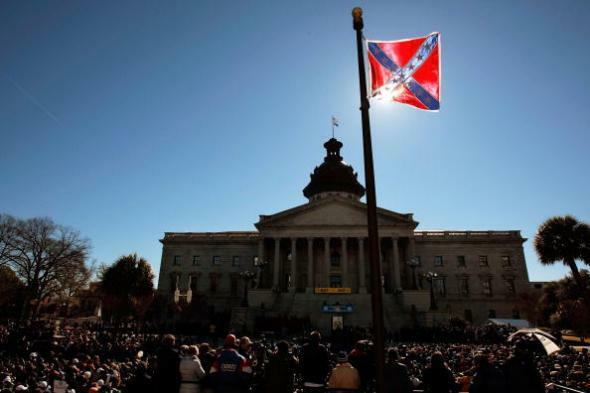 The Moscow Times reports that similarities to the Confederate flag are apparently not intentional. They located the Ukrainian insurgency supporter credited with introducing the design; he says he merely found it—in the Times’ words—“online somewhere.” And in such a manner is the course of history determined.